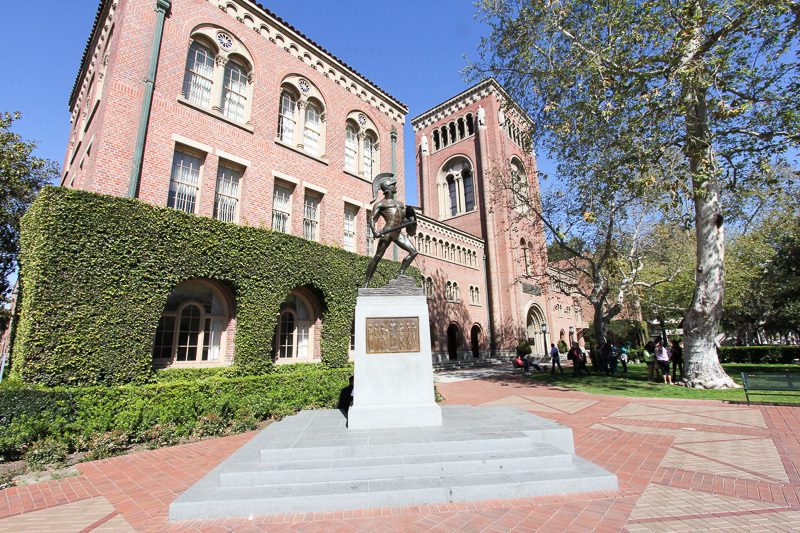 March 1, 2013 - Today's adventure was a tour of the Hancock Memorial Museum located on the campus of USC, the University of Southern California in Los Angeles. 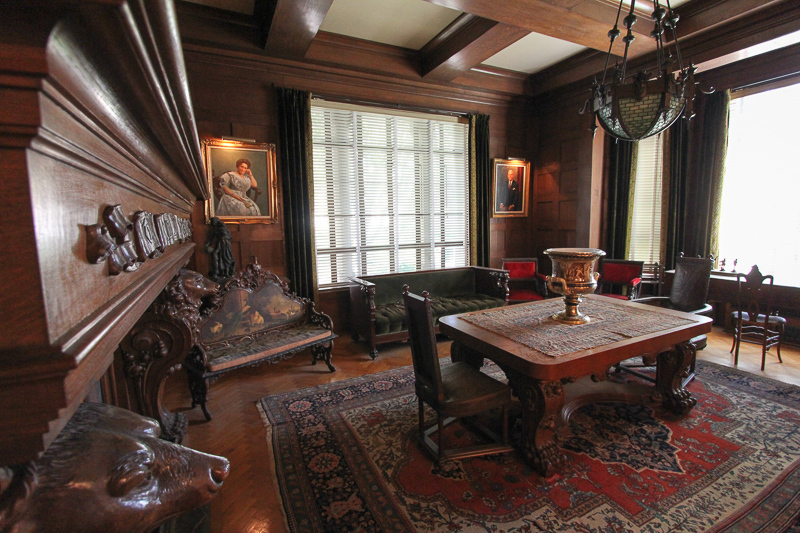 The Hancock Memorial Museum is comprised of the four public rooms from the original Hancock mansion that was built in 1909 at the northeast corner of Vermont Avenue and Wilshire Boulevard. 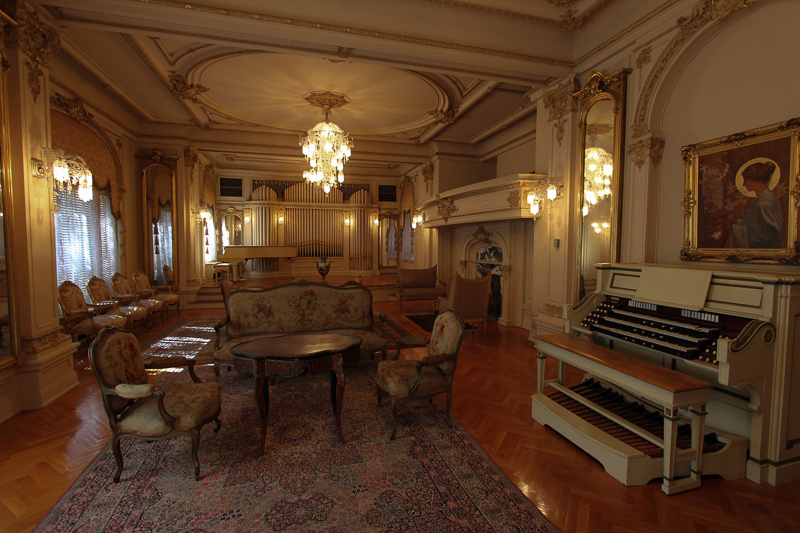 In 1939, the Reception Hall, Dining Room, Library and the beautifully appointed Music Salon were carefully dismantled and installed on the University campus as a memorial to Captain G. Allan Hancock's dearly beloved mother, Ida Haraszthy Hancock Ross. Hancock (1875-1965) had inherited Rancho La Brea, including the La Brea Tarpits, and made his fortune with the Rancho La Brea Oil Company. With that wealth, Hancock was able to pursue myriad interests and thus began a life of philanthropy. This fountain is just outside the Allan Hancock Foundation Building where the four rooms have been installed. Incidentally, the Jane Goodall Research Center is also located in this building. 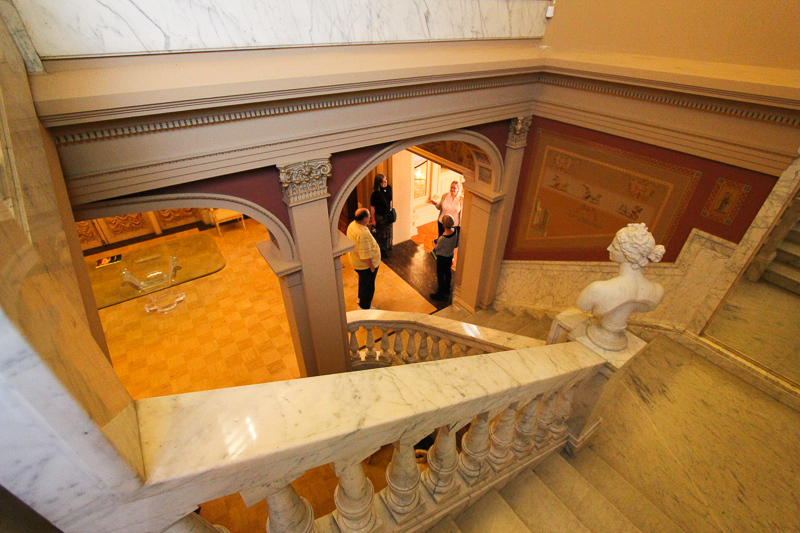 We began our tour of the Hancock Memorial in the Reception Hall, designed in early Roman style. 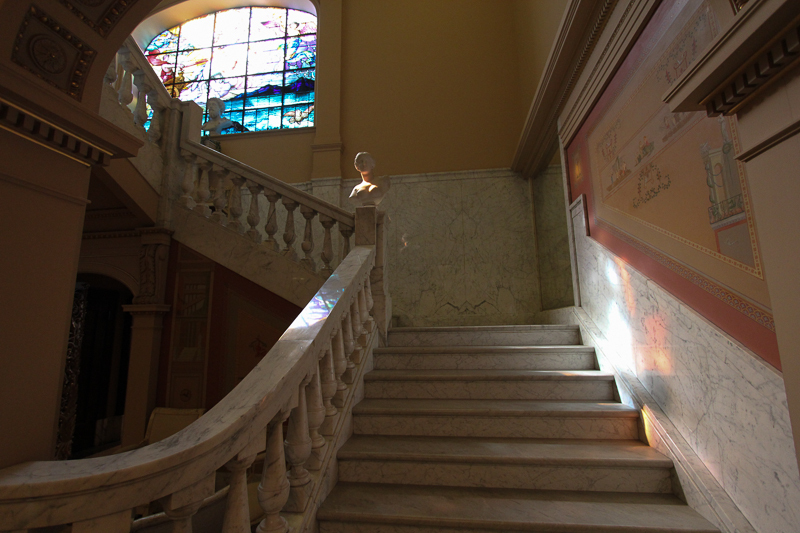 The double white Carrara marble stairways led to the living quarters on the second floor in the original mansion. 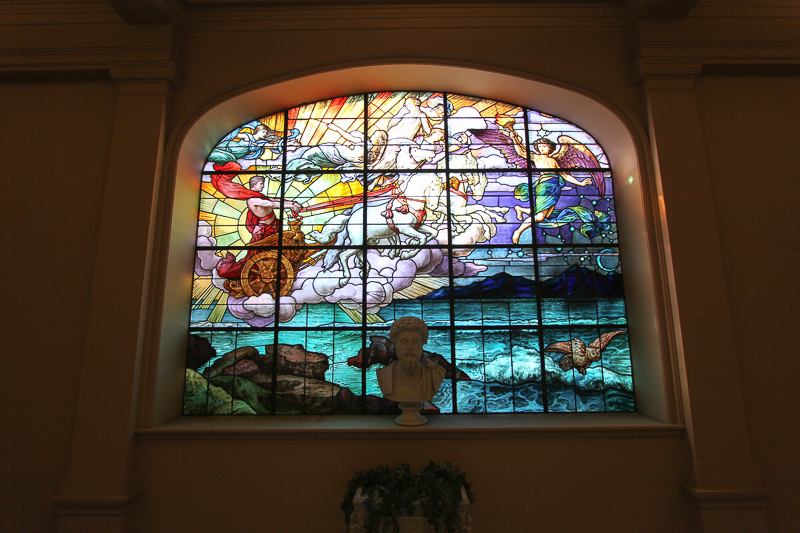 At the top of the stairs is this beautiful stained glass window, called "Aurora Dispelling the Night." It was commissioned in 1865 and created by Leon Zettler of Munich. It depicts the chariot of the sun being driven by a male figure, thought to represent either Apollo or Phaeton. 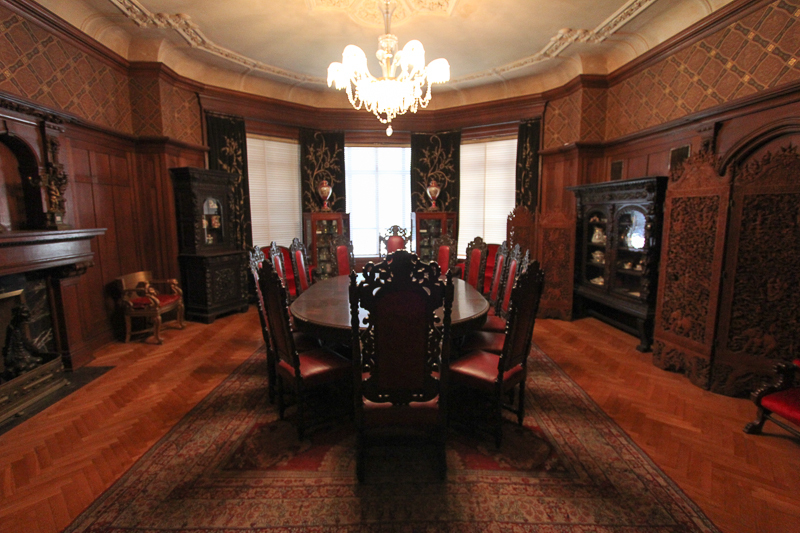 The next room was the dining room, in the early Georgian style, with high wainscoting of carved old oak and the embossed and gilded leather walls reflect the influence of Old Spain. Next was the Music Salon with its grand proportions in antique gold in the Louis XV French Rococo tradition, with Chantilly lace curtains capped by curved valances of gold satin damask. 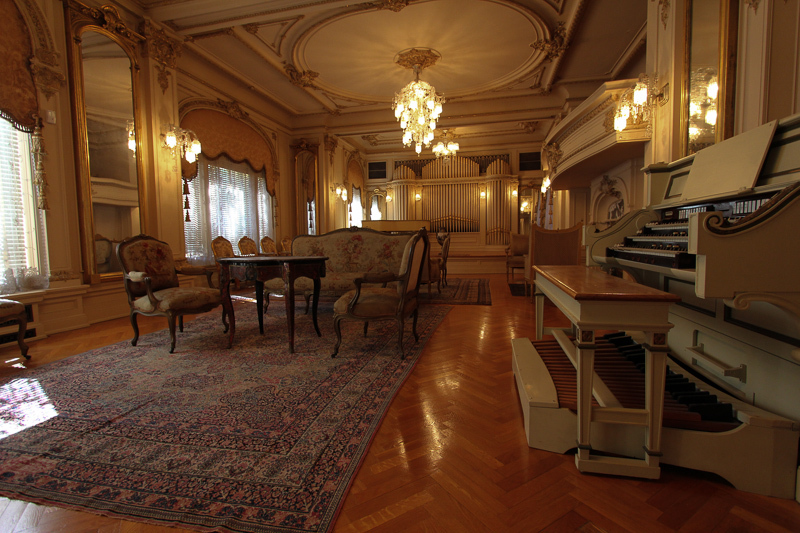 The Music Salon readily transports one to a salon in Old France. 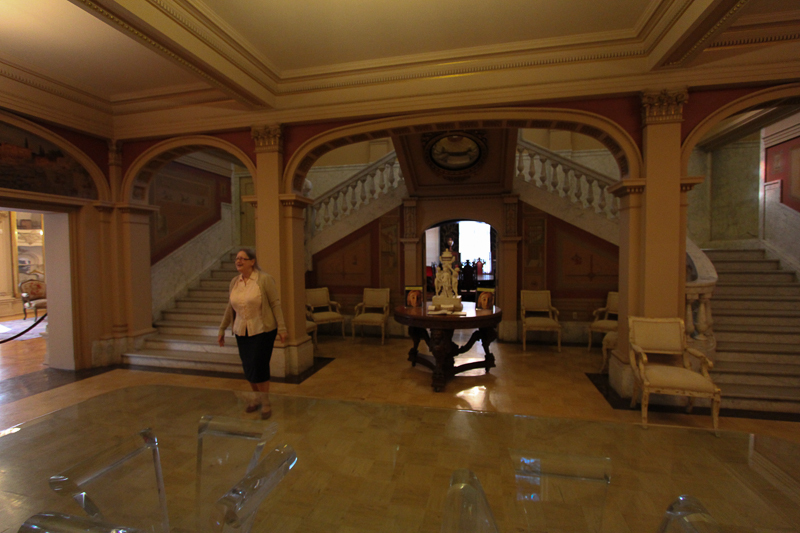 The Library is connected to the Music Salon by an arched colonnade. 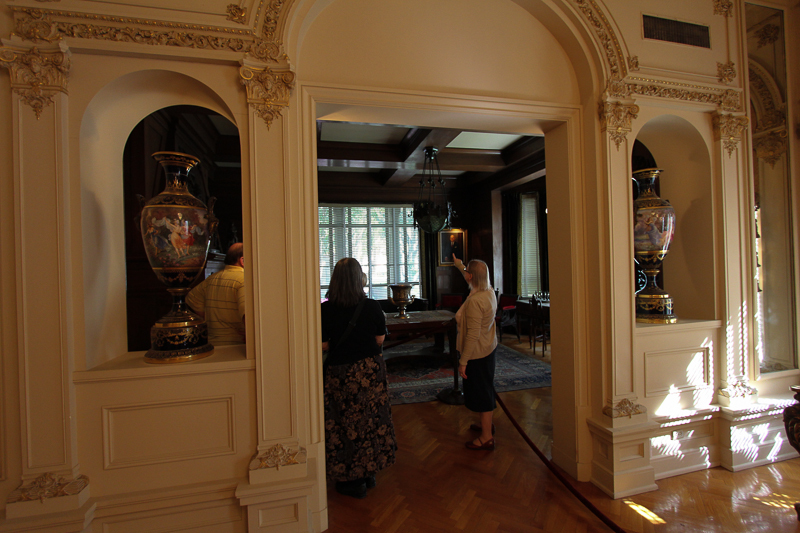 Two large Meissen vases, of heroic proportions, grace the arches between the two rooms. 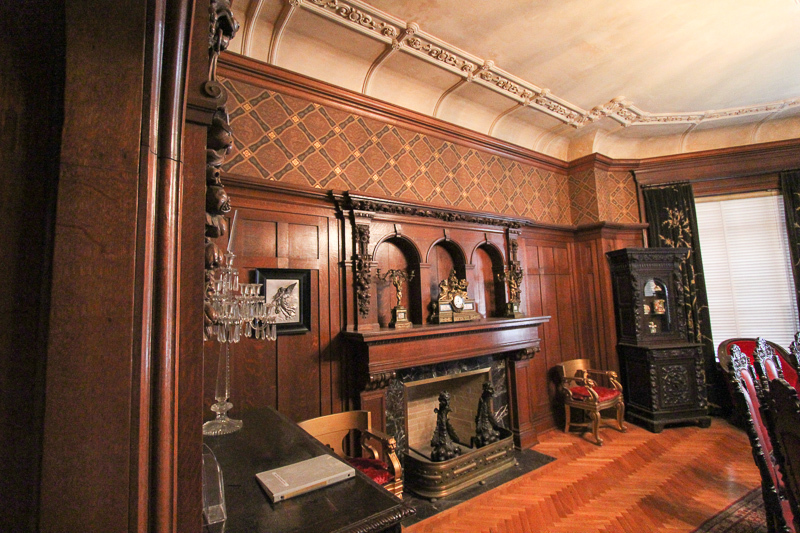 The focal point of the Edwardian Library is its beamed ceiling, heavy architraves, and the fireplace and mantle, fashioned after the one found in the great banquet hall of Warwick Castle in England. 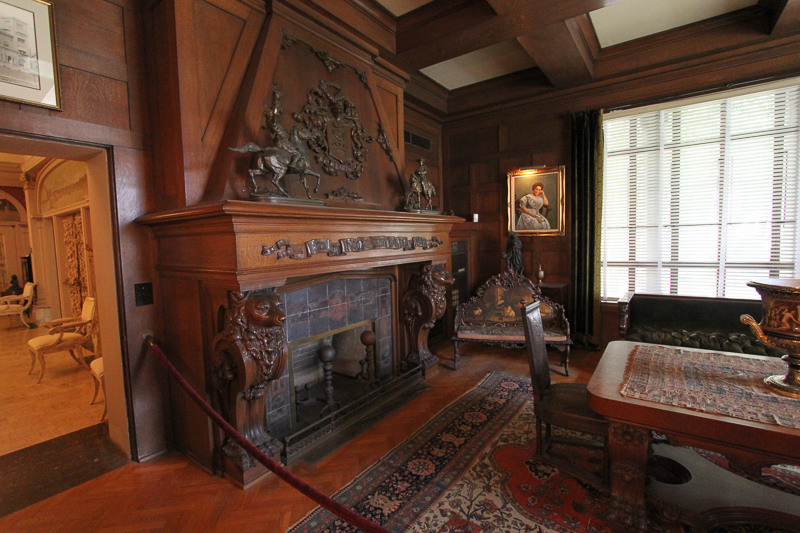 In the panel above the mantle shelf is the coat-of-arms and motto, "Solus Sto," of Ida Haraszthy Hancock's noble Hungarian family. Under the shelf is her warm expression of hospitality: "Tis my home and yours, my friend." The portraits are of Hancock's mother Ida and Allan Hancock. 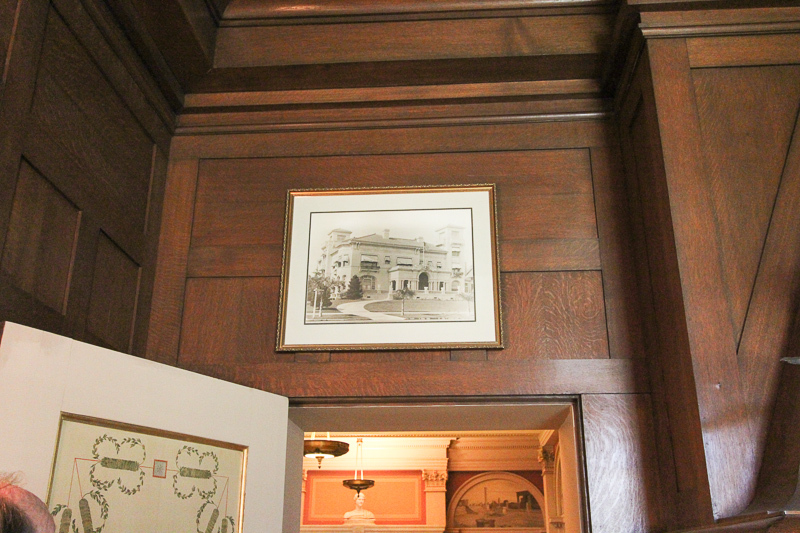 In the Library is a photograph of the original home as it stood at Vermont and Wilshire. 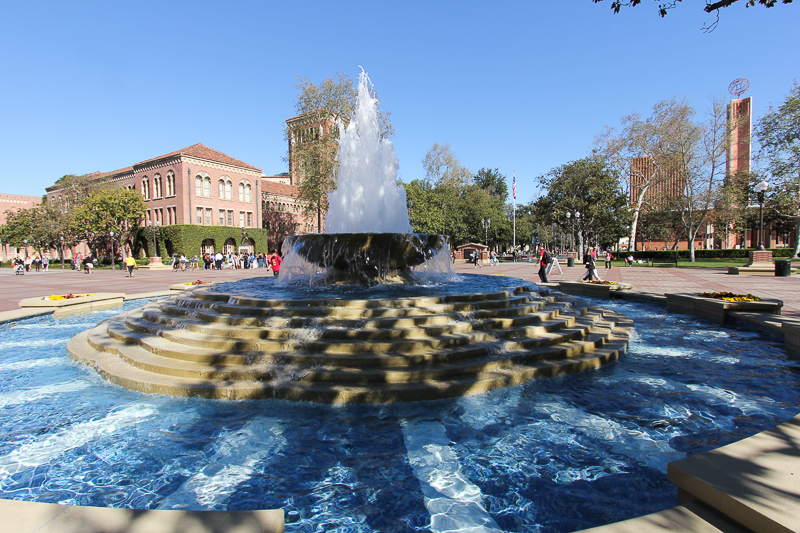 No trip to USC would be complete without seeing "Tommy Trojan." 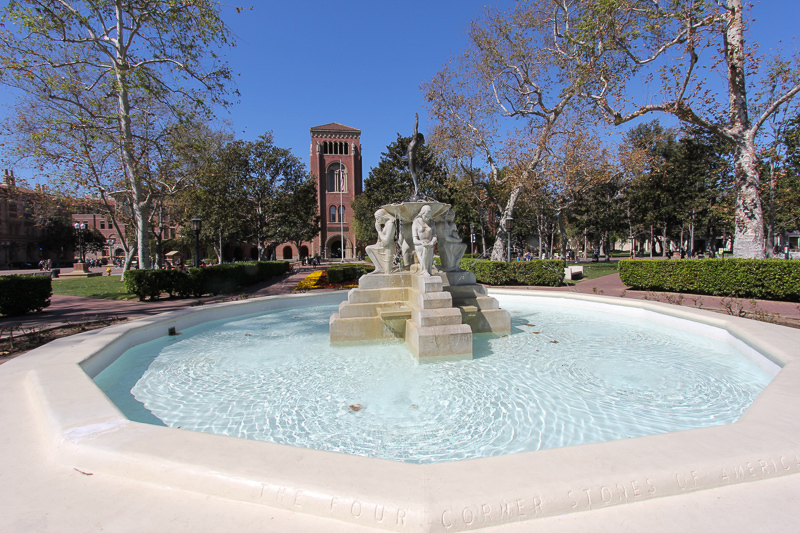 What a large and beautiful campus here at USC. We had lunch on campus at Moreton Fig, which was elegant and delicious! It was another lovely day here in Southern California.